If the idea of a free Happy Hour sounds tempting, you wont regret booking a room in this fabulous hotel situated only 10 minutes from Admiralty and a short walk from the Metro Station. Other noticeable aspects include complimentary breakfast and friendly and helpful staff. Luxury is a way of life at the 4-star Ovolo Southside. Seated on Wong Chuk Hang District in the city center, the hotel connects travellers to the city conveniently with a train and a metro station nearby. It offers a fantastic time under the sun for leisure travellers with an awe-inspiring space and loads of fun in nearby attractions. Ovolo Southside is distinctively different from other hotels in its category in Hong Kong with excellent artwork throughout the area. The blend of art with an extensive range of amenities inspires a living beyond the ordinary. The hotel is a prime choice for all types of travellers looking for a relaxing time in the lap of luxury with ample options to explore. The multiple choice of accommodations at the hotel are dipped in cool hues, leaving guests spellbound. Designed exclusively with pristine luxury for maximum effect, accommodations at Ovolo Southside Hotel bring in a new concept of hospitality. 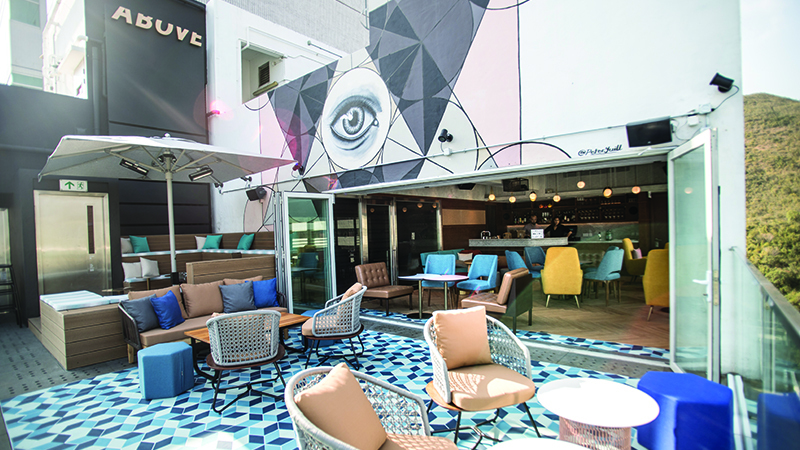 The widespread accommodations at Ovolo Southside Hotel include Mini Twin, Mini Queen, Deluxe Queen, Corner Queen, Corner Deluxe, Long Loft and Family & Friends. Up the entertainment quotient with the 3D LED TV featuring premium channels. Complimentary refreshments come stocked in the minibar. Tourists can break into a restful sleep in the premium bedding including feather duvet and feather pad. Premium blackout drapes cover the floor-to-ceiling windows that give panoramic views. Most rooms come with a large sofa and a coffee table. Rain shower and premium free toiletries in the private bathroom ensure a rejuvenating bath. The rooms include air conditioning and complimentary Wi-Fi. room services is also provided for limited hours. The multi-storied building is an artistic hotel restored from a warehouse. It provides an expansive space of leisure with the most discerning amenities and rave features. A 4,000 square feet conference space with a meeting room combines the latest technological features to hold corporate events and presentations. Recreation is available with a billiards or pool table and the 24-hour fitness center featuring advanced equipment. Concierge services are at guests' disposal to help book tours and make reservations. The smoke-free property comes with a rooftop terrace encouraging a relaxing walk and free newspapers in the lobby. The 24-hour front desk comes with tours/ticket assistance and currency exchange facility. Dining at Ovolo Southside is an authentic gastronomy adventure not to be missed. Anticipating taste buds find solace in the swanky duplex styled Komune that dishes out elite international cuisine and signature cocktails. The dining saga offers breakfast, brunch, lunch, and dinner in a la carte menu. A backdrop the city's coastline sets up the perfect evening at the rooftop bar Above by Komune. The cleverly-designed interiors elevate the space for business meetings and parties. Its unique drinks and dining concept blends a variety of the finest international selections. Ovolo Southside is an enthralling experience where holidaying and sightseeing elevate to an all-new level of adventure and comfort. Bound by the Ocean Park and the Jumbo Kingdom in its vicinity and brushed with a captivating atmosphere, the hotel ensure guests have a great time. Hong Kong International Airport is 25.1 km away. Yes, airport shuttle service is available at an additional price. No, daily breakfast at the onsite restaurant is available at a surcharge. Ovolo Southside Hotel Hong Kong keeps guests well-connected to a range of attractions in Southern District. Tourists can head to Causeway Bay, Admiralty and the Hong Kong Golf Club at Deep Water Bay in just a few minutes. Travellers can also try their hand at the billiards or pool table available onsite. The 24-hour fitness center make for a vigorous workout session at guests' convenience. Exciting offers of Ovolo Southside Hotel Hong Kong include lowest rates, complimentary breakfast and happy hours that can be availed when booking a room on the hotel's official website. Guests also get exclusive freebies and other benefits like complimentary tickets to the theme park when they book online. Tourists can nest themselves in the lap of magnificence that marks the features and services of Ovolo Southside Hotel HK. The best of amenities and international standard facilities make for a holistic experience. The hotel makes every effort to ensure a comprehensive holiday experience for travellers and includes some exciting benefits on fulfilling some requirements. The hotel's main motto is to provide a space of rejuvenation and unbound enjoyment for guests. The accommodations at Ovolo Southside Hotel HK deserve a special mention that blend well-thought amenities amidst a cool decor. The expansive and panoramic views from the rooms leave tourists spellbound. 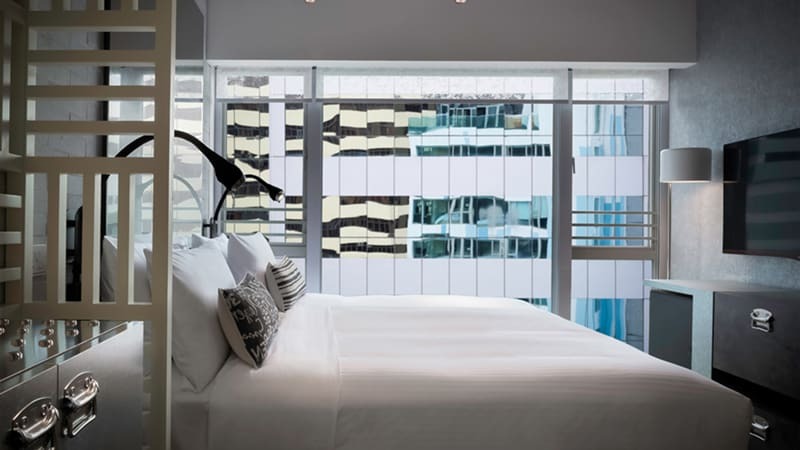 Ovolo Southside Hotel HK provides everything under the sky to get the best of attractions, nature, opulence and memorable holiday guests love to relive. The hotel offers more than guests' expectations and is rated high for providing the best value among 4-star hotel properties in Hong Kong. A host of recreational amenities at Ovolo Southside Hotel HK combine entertainment with fitness. And, not to forget, an upscale conference space serves business and social events. The hotel also includes a dynamic event space with a rotating stage to host celebrations of a lifetime.